Stephanie coordinates the South Sound G.R.E.E.N. program, a watershed education program serving Thurston County youth in grades 3 – college. More than 1200 students and 35 teachers engage in the program annually from the North Thurston, Olympia, Tumwater, Rainier and Griffin School Districts, St. Martin’s College, The Evergreen State College, private schools and home-schooled students. Stephanie joined our team in May 2012. 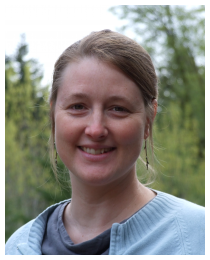 Previously she worked as an Education & Outreach Coordinator for the Mason Conservation District (2007-2012), where she had the pleasure of coordinating the Student Watershed Investigation and Monitoring (SWIM) program, based on the South Sound G.R.E.E.N. model. Stephanie earned a BA in natural resources from The Evergreen State College. She is active within the community, serving as a volunteer with several planting restoration and education groups.